The land was owned by MoD and used as an Oil storage depot. . It was on Aug 19th 1940 that the bombing took place. Three German aircraft made a low level attack against the admiralty oil fuel depot at Llanreath. This became one of the most vicious fires of the whole war. 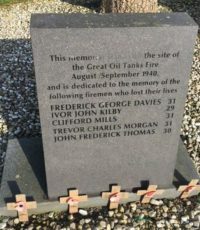 During the three weeks that it blazed the fire was fought by 650 men from 22 brigades who used 53 pumps, nine miles of hose and 2000 gals of water per minute. Five firemen , all from Cardiff, were killed and 38 seriously injured. 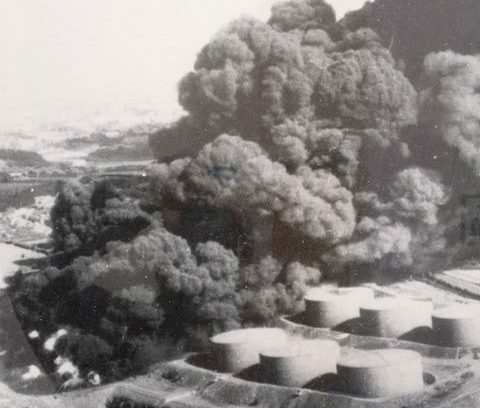 Despite the efforts of the fire fighters, 11 of the 17 tanks were totally destroyed. This represented a loss of 33,000,000 gallons of oil-a crippling blow for the nation when we stood alone. First set of rules and membership fees were set at £5 for gentlemen and £3 for ladies. 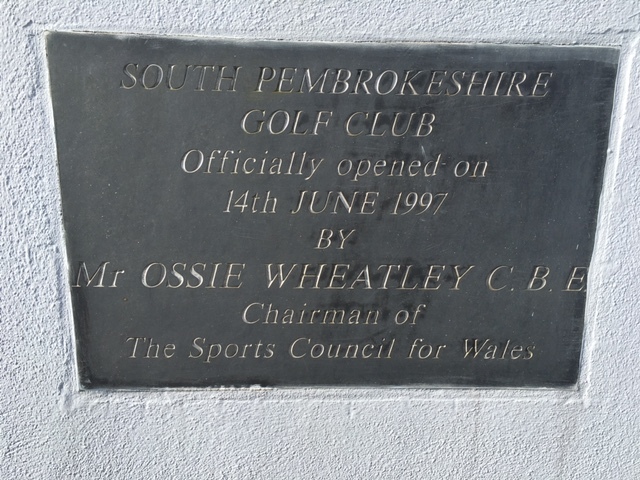 Course extended to 18 holes and new clubhouse opened. 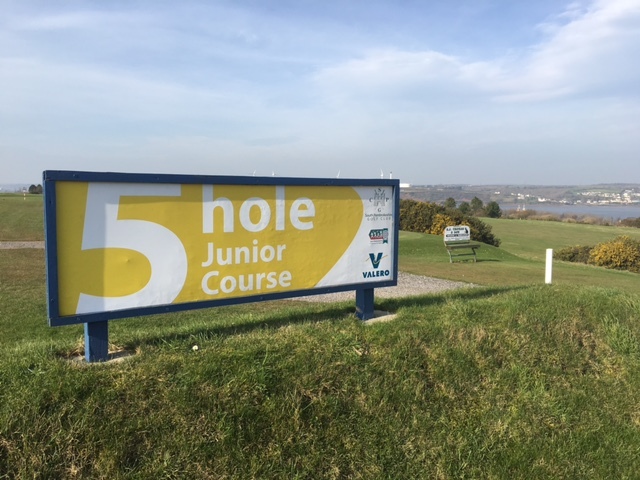 The Junior practice area was opened. 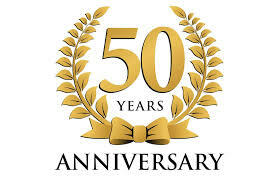 South Pembrokeshire Golf Club will be celebrating 50 years during 2019.